AUSTIN, Texas (KTRK) -- On Thursday, Gov. Greg Abbott broke out his veto stamp to nix a total of 50 bills, more than he did last session, and more than any governor has done since former Gov. Rick Perry, who vetoed 56 bills in 2007. Abbott cited a number of reasons for rejecting the work of legislators, a number of which included a Senate or House companion already being signed or legislation being too wide in scope or too costly in implementation. Here are six key bills Abbott vetoed on Thursday and their implications. 1. House Bill 2410 by Reps. Celia Israel, D-Austin, and Jodie Laubenberg, R-Parker. The bill would have allowed a select few small counties to conduct runoff elections via mail-in ballot to cut down on the cost of holding another election. Abbott said mail-in ballot fraud is such a serious problem already that the bill should not pass. He added that the upcoming special session should seek to address the issue of mail-in ballot fraud. The bill passed the House in a 133-12 vote and the Senate in a 25-6 vote. 2. House Bill 2783by Rep. John Smithee, R-Amarillo. The bill would have allowed a judge in a civil suit the option to award attorney's fees to the requestor of public records should the government decide to voluntarily hand over requested documents on the eve of a trial. 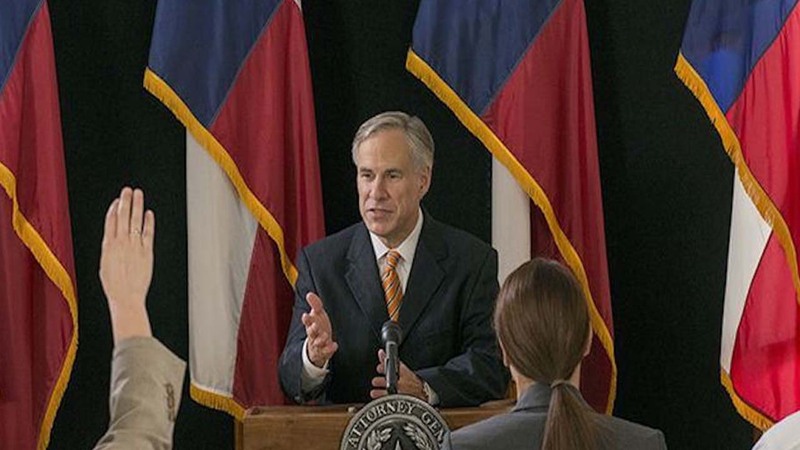 In his veto proclamation, Abbott said the passage of the bill would incentivize public records requestors to sue the government quickly after making an open records request rather than letting the process play out. The bill passed the House and Senate unanimously. 3. Senate Bill 790by Sen. Borris Miles, D-Houston. If passed, the bill would have extended the life of the Women's Health Advisory Committee for an additional two years. The committee would have been able to continue reviewing data and making suggestions to the Healthy Texas Women program, the state's alternative to Planned Parenthood. Abbott said the Women's Health Advisory Committee has already served its purpose, and the passage of the bill would do nothing. The bill passed by an 83-52 vote in the House and a unanimous vote in the Senate. 4. Senate Bill 744by Sen. Lois Kolkhorst, R-Brenham. The bill would have required a municipality imposing tree mitigation fees for tree removal to allow the person asking to remove the tree to apply for a tree planting credit to offset the mitigation fee. Essentially, it would allow those in violation of municipal tree ordinances another avenue to do their bidding. Abbott, who has already called for a charge in the special session to limit how local municipalities can regulate trees on private property, called the bill a compromise and that it did not go far enough. "Cities telling landowners what they can and cannot do with the trees in their own backyard is an assault on private property rights," he said. The bill passed the House in a 144-2 vote and the Senate in a unanimous vote. 5. Senate Bill 196 by Sen. Sylvia Garcia, D-Houston. The bill would have created a notification system to alert parents when a school did not have a nurse, school counselor or librarian on campus during all instructional hours. "Senate Bill 196 detracts from that focus (on public education) and imposes a needless regulatory mandate on schools," Abbott said. The bill passed the House in a 80-63 vote and the Senate in a 19-12 vote. 6. House Bill 1342by Rep. Tan Parker, R-Flower Mound. The bill would have mandated that child abuse antivictimization curriculum include annual age-appropriate sexual abuse prevention training. The training would be required to take place once a year. Abbott said the bill sought to achieve a good purpose, but did not allow parents to opt out of the training for their children. He did sign Senate Bill 2039, which offered this option. The House passed the bill in a 130-10 vote and the Senate passed the bill in a 27-4 vote. For a full list of the bills the governor has vetoed, click here.